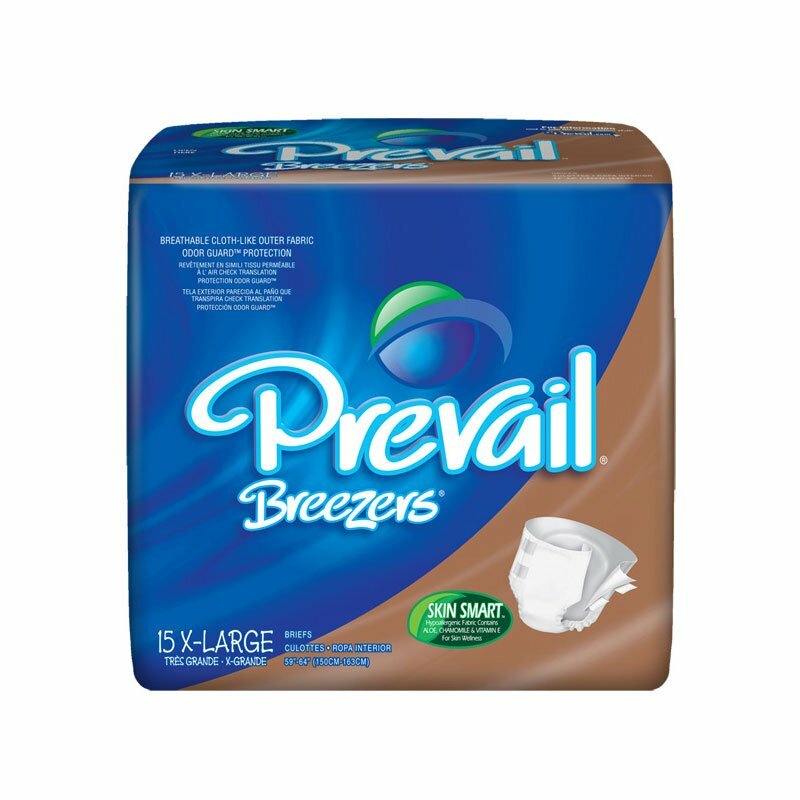 You are buying the First Quality Breezers Prevail XL Beige 59"-64" PVB-014/1 60/cs - Model #PVB-014/1 from First Quality. First Quality is a leading manufacturer of incontinence products including briefs, liners, underwear, diapers, and underpads. At ADW Diabetes, we do our best to offer the complete product line by First Quatliy with superior service and fast shipping. First Quality Breezers Prevail XL Beige 59"-64" PVB-014/1 60/cs are ideal for ultimate leakage protection with performance and comfort enhancing features. The First Quality Breezers Prevail accommodates the demanding needs of leakage associated with Reflex, Overflow and Functional Incontinence. Unisex - Designed to fit both a woman and a man. Breathable Side Panels - Ventilated areas allow air to freely migrate to the wearer, helping maintain skin wellness and comfort by reducing heat build-up.